Rose Elizabeth Carlson (nee Fabritius) passed into eternal life on April 5, 2019 to be reunited with the Lord and her loved ones - one month shy of her 103rd birthday. Born in Toledo, OH on May 29, 1916 to Michael Fabritius and Bertha Amelia (Wieland) Fabritius, she was one of six siblings. Her family moved to Akron in 1917 and Rose spent the majority of her life here. During the Great Depression, her family moved from Grant St. to a farm in Randolph, OH. Rose attended McEbright Elementary, and Garfield High School prior to moving and then graduated from Randolph High School in 1934. She looked forward to their yearly All-class Reunions. After graduation she moved back to Akron to attend Actual Business College. Following business school she went to work in the Finance Department of the City of Akron doing payroll, worked with her cousin, Ray Bliss at the Republican Party offices and finally, worked on payroll for the Nursing Department at Akron City Hospital. She met her husband, Earl J. Carlson while hiking with a YW/YMCA Hiking Club. They were married in 1941 in the home they purchased on North Hill, living there until 1964 when they moved to Ridgewood Rd. They celebrated 63 great years together before his passing in 2004. Rose was the consummate 50’s mother and ultimate caregiver, always looking for and finding ways to care for and help others. She stayed at home to raise her four children and was heavily involved in everything they did. She successfully raised and cared for her special needs child for 59 years. While many moms didn’t drive or have cars at that time, ours was the neighborhood chauffeur. She became heavily involved in PTA, holding many offices and running/organizing countless fairs and fund raisers for the North Hill Cluster schools. She was also involved in United Cerebral Palsy of Akron and The Women’s Auxiliary of The Salvation Army. At SA, she served as President and Vice-President and served on several committees. She worked tirelessly interviewing candidates for, and then distributing toys at the “Toys for Tots” program. She visited many nursing homes distributing gifts to senior residents and spent many years - well into her 90’s as a Bell Ringer for the Christmas Fund Drive. 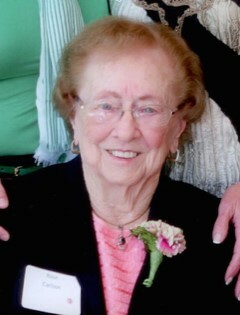 Her membership with the Salvation Army extended for more than 50 years. From 2005 until recently she volunteered at Akron Children’s Hospital. In addition to all of this, she welcomed her father and her sister-in-law into her home to care for them in their latter years and spent many, many hours tending to the needs of a cousin who lived to be 100 years old. 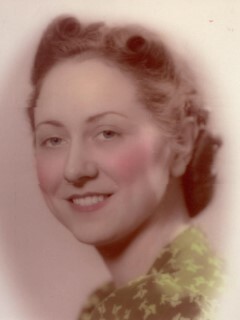 In her role as “Mimi', she watched her grandchildren countless times and participated in all of their activities. In the last two years of her youngest son’s life, she spent every afternoon by his side at his nursing home. One of Mom’s favorite lines was, “You do what you have to do”! She certainly did that and much more! Her faith in Christ sustained her through difficult times. She was preceded in death by her parents; her husband, Earl; her son, Jimmy and his wife, Susie; and her brothers Arnold, William and Charlie. Survivors include her sisters, Helen Ciraldo (age 100) of Hattiesburg, MS and Mary Jane Hickman (age 96) of Pensacola, FL. She leaves daughters and sons-in-law, Sandra and Bruce Shackelford, Linda and Tony Aulino all of Akron; son and daughter-in-law, Lee and Clare Carlson of Pleasanton, CA. Known as Mimi to her grandchildren, she leaves Erin and Jeff Grosenbaugh, Andy and Jordan Shackelford (Chicago, IL), Amy and McKay Henretty, Todd and Kimi Tober, Steve and Olivia Carlson (Oakland, CA), Tim and Melissa Tober, Michael and Vanessa Carlson (Pleasant Hills, CA) and Tara Tober (Alan Barcon). Known as Great-Mimi to her 18 great-grandchildren, she leaves Taylor, Brooke and Paige Grosenbaugh; Mason, Jayden and Emerson Shackelford; McKenzie, Ryan and AJ Henretty; Will, Ellie and Charlotte Tober; Gracie, Penny and Oliver Tober; and Natalia, Andrea and Soren Carlson (California). She also leaves four step-grandchildren and their families; Joe Aulino (Emma, AJ and Robert); Norm and Jean Christopher (Alex, David and Lindsey, Maggie and Julia); Mike and Laurie Adolph (Mike, Matt and Andrew); and Mike and Paula Aulino (Lily Kate). Finally, she is survived by a host of dearly loved nieces, nephews, friends and acquaintances who have embraced both her and her life. Hers was a life well lived! The family will receive friends at the Billow FAIRLAWN Chapel, 85 N. Miller Rd., on Friday, April 12th from 4 to 8 pm. Funeral services will be held at 11 am on Saturday, April 13th at the funeral home with Pastor Isaac Van Epps officiating. Burial immediately following the service at Mount Peace Cemetery. Memorial contributions may be sent to Echoing Hills Residential Center, 36272 CR 79, Warsaw, OH 43844; the Salvation Army, 190 South Maple St., Akron, 44302; or to Akron Children’s Hospital, 214 W. Bowery St., Akron, OH 44308.